There is no limitation on the number of TO3000 installations. We have only a limitation on the number of simultaneously running copies of the program. I.e. you can run only one copy of TO3000 at a time. Thus, you can install TO3000 on any number of computers using your personal serial number. In that case you might want to synchronize changes made to your database between two copies of the program. 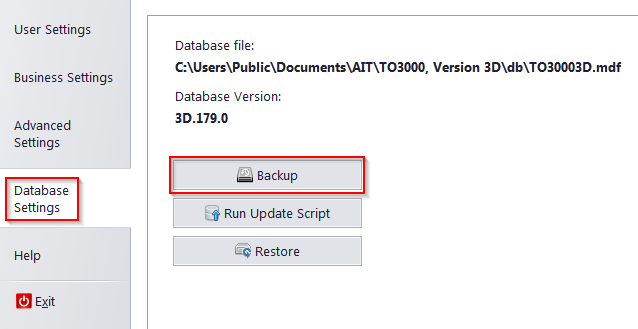 For this you can make a backup of your database in "Database Settings > Backup" and thereafter restore it on your second PC in the same way in "Database Settings > Restore".